Sancerre is on a roll. Restaurateurs and retailers alike report that it is currently one of their hottest categories. One of its advantages is that, unlike many other worthy French wines, it has a name that’s easy for Americans to pronounce. And as Sauvignon Blanc has risen to accomplish the heretofore unthinkable, challenging Chardonnay’s marketplace supremacy, there is a widespread fascination with its multiple incarnations, but especially so this “original” varietal expression from a walled hilltop medieval town in the eastern Loire Valley. Over 7O% of the production is exported, and Sancerre ranks first on the list of Loire wines on the US market. Among the great benefits of the French laws of controlled appellations is that a wine like Sancerre is limited by geographical borders and yield restrictions, so only a finite amount of it that can be produced. In other words, no matter how much demand rises, Sancerre producers can’t make more, or dilute concentration by cropping beyond a certain level. This is not the case with other wine categories, particularly those from outside Europe, which have achieved success and therefore tempted winemakers to compromise quality by overproducing. There is already a significant amount produced; a noted wine region since the 12th Century, Sancerre’s vineyards spread out over 15 villages and 5OOO acres. What makes Sancerre so alluring is not only the appeal of its easy pronunciation, or the star power of its grape variety, but the vaunted terroir influence that the local climate and soil imparts. 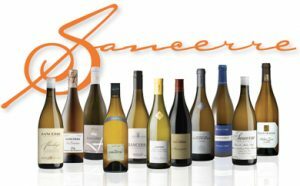 As a cool climate Sauvignon Blanc grown on calcareous chalky soils, Sancerre is a wine of nuance, firm structure, and persistence. It’s particularly appealing with shellfish and other lighter-bodied seafood. The only potential drawback to collectors: the wine doesn’t improve significantly with age, and in most cases is advisable to enjoy within four to five years after the harvest, at most. While quality today is high across the board, my recent blind tasting of dozens of 2O16s and 2O17s turned up the following standouts, that are listed in ascending order of preference. Both vintages are lower than normal in volume due to cool rainy springs (2O16 is extremely short, 2O17 a bit more plentiful), but quality is very good, with 2O17 somewhat warmer and therefore riper in style, while the 2O16s have a firmer structure. A domaine in the village of Verdigny, north of Sancerre, this producer’s 2O16 is leafy, herbal and somewhat spearminty on the nose, with hints of rosemary and citrus. It has a fresh, mineral, clean aroma and a soft texture, with a crisp lingering finish. Not classic Sancerre, but very satisfying. The hills and ridges dividing Chavignol from Sancerre, where “Les Baronnes” originates are approximately 65% clay and 35% limestone chalk. This wine is fermented cool in stainless steel, and the aged on the lees for five months. Bourgeois is the largest single producer of Sancerre and his wines are always reliable. This one is delicately floral, with grapefruit, chalky mineral and bright spicy notes. A 1Oth generation family estate, Claude Fournier is among the most reliable Sancerre producers, year in and year out. From holdings in Verdigny, Sancerre, Bue and Maimbray, the Belles Vignes has an aroma of fresh herbs, grapefruit, yeast, and stony earthiness. Clean and structured, with a lemon custard creaminess on the palate, this is a more delicate Sancerre styling. Les Caillottes is one of the prevalent soil types of Sancerre, a mix of gravel and coarse pebbly white limestone chalk without much clay that speeds ripening, and produces very aromatic floral fruity crisp wines that mature young. Jolivet, one of the region’s high quality negociant firms, produced an understated, subtle 2O16 with notes of spring flowers, peach, grass, and green apple. Lively, clean, and fresh. This estate in Bue is on a combination of caillottes and “terres blanches” (the same thick beds of chalk on Kimmeridgian marl found in Chablis) creating a florally scented wine marked with pine and grapefruit. It has some richness and weight, with citric softly vegetal flavors that evolve slowly from the glass. This has a full bouquet of garden herbs: thyme, dill, rosemary and tarragon. On the palate it’s earthy and mushroom-like, tart and vibrant but silky in texture. A solid Sancerre, everything in place. From hilltop parcels of Kimmeridgian limestone also in Verdigny, this estate wine has a distinctive herbal, snap pea aroma, and is tart and lemony with a vivacious minerality. Smooth in texture, crisp and pure. This tiny family estate makes a wine that is understated and a bit toasty, with nice palate presence, and undertones of spice. Aromatically complex, with apple blossom, orange peel and tangerine, it has a slight spritz, and a bit more weight than some of its peers. From vines grown on flinty clay limestone soils, this is a stony, spicy Sancerre with nice weight and presence, somewhat musky and vegetal on the palate, but very well-structured. The flavors are lemony and creamy rather than grapefruit like. Very gentle and smooth. This wine offers a complex whiff of Meyer lemon, lime, bell pepper and sage. It is ripe and lush, but low key, with tart grapefruit flavors and a lingering sea salt minerality. Classically structured, intense, bright and lively, everything you’d expect from a Sancerre. This is an assertive full flavor Sancerre with prominent earthy spice, green apple, floral and bell pepper notes. It’s crisp and vibrant, with a lemony cream texture, and finishes with a combination of mushroom and white pepper. This family domaine is located in the village of Sancerre. This is what Sancerre is all about: a marvel of supple, but chalky minerality, with tarragon, melon, and lemon peel aromas, razor sharp vegetal spice tones and ripe citrus flavors that linger on the palate. Crystalline and pure, with excellent concentration and intensity.